When reviewing my pattern-making tutorials, I was surprised that I had not found the blouse yet. This essential element of the female wardrobe. I am talking about the fluid large shirt made of silk or muslin. You must then make a few changes (Figure 2). 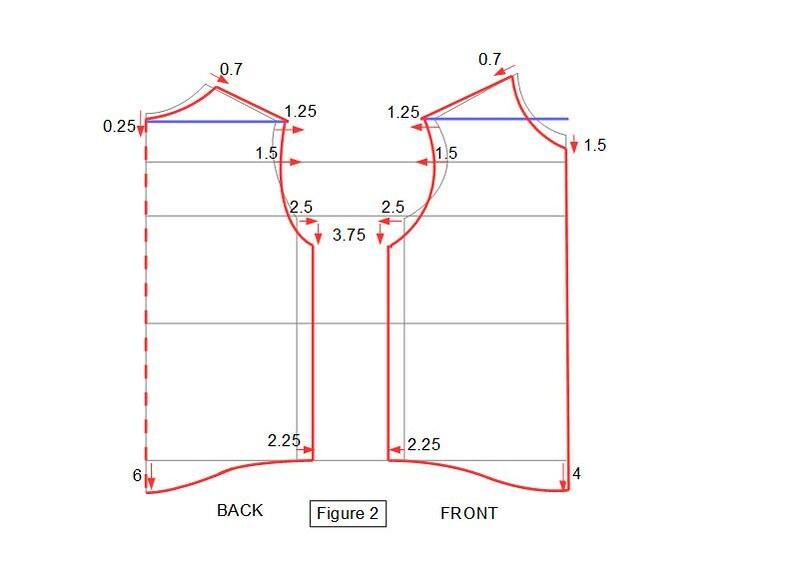 Lower the center front by 4 cm and the center back by 6 cm and draw a smooth curve for a “large shirt style”. Trace the bust outline by joining the new points. If you want to make the shirt more fitted, I recommend waist darts. Personally, if the shirt is made of silk, I prefer it large, without darts. 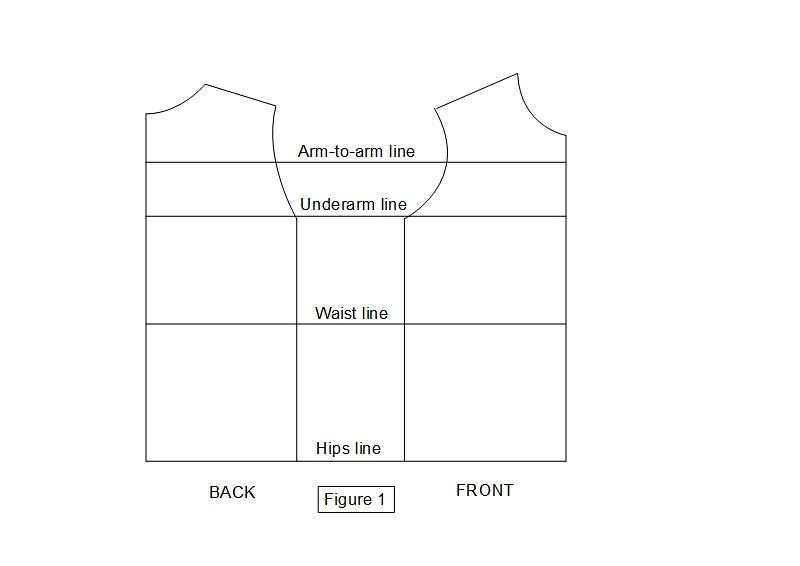 If you choose a button front, you need to add a button placket to the right of the center front line. The width of this placket depends on the diameter of the selected buttons, and it is about 2 cm. 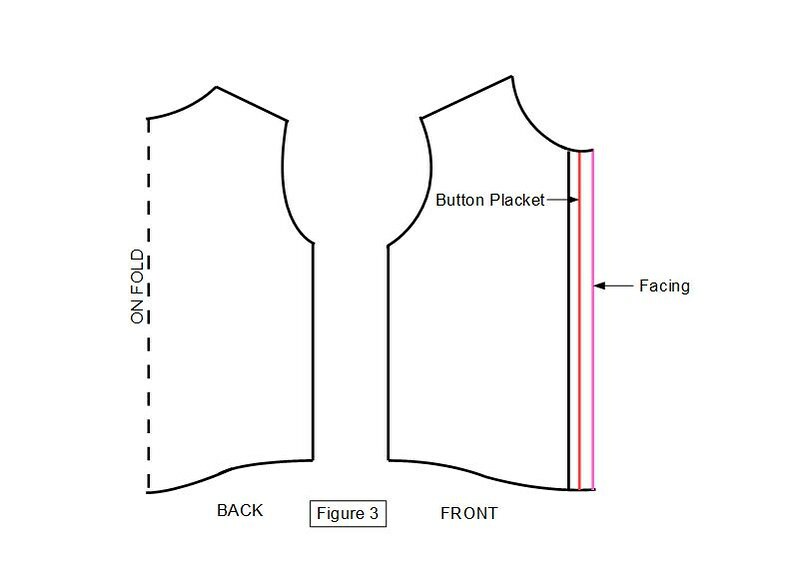 Then add the facing, its width is 1-2 cm longer than the width of the button placket (Figure 3). You have the shirt bodice now. You will also need the shirt sleeve and to choose the type of collar. With a little hope and few bank holidays in May, these tutorials should not take too long. This is great especially as a teacher myself I am refreshed, thank you! Its an awesome explanation. However, im confused about one thing. I see that u r taking the length of the bust , waist of the back same to the front. But in a human body, there is a difference in length between front and back. From where r u taking the length of the bust and waist ?